These guys just get everywhere. Photo by Dunechaser on Flickr. Annoyed as some Apple customers may have been over being “force-fed” U2’s new album last fall, the impact of the free release is still visible five months later: 23% of all music users on Apple’s operating system listened to at least one U2 track in January-more than twice the percentage who listened to the second-placing artist, Taylor Swift (11%). The televisions’ Smart Hub software, which helps people find stuff to watch and apps to use, is refusing to work – in fact, any software on the sets that tries to use the internet just simply won’t work, Reg readers have told us. Problem seems to be DNS-related – the IP address at the far end has moved and the TVs can’t figure out how to find it. A dress rehearsal for the Internet Of Broken Things. It’s starting to look like Superfish and other software containing the same HTTPS-breaking code library may have posed more than a merely theoretical danger to Internet users. For the first time, researchers have uncovered evidence suggesting the critical weakness may have been exploited against real people visiting real sites, including Gmail, Amazon, eBay, Twitter, and Gpg4Win.org, to name just a few. I wonder how much feverish activity there is in other PC OEM headquarters as they check all their third-party install apps and contracts. Google nurtured YouTube into a cultural phenomenon, attracting more than one billion users each month. Still, YouTube hasn’t become a profitable business. The online-video unit posted revenue of about $4bn in 2014, up from $3bn a year earlier, according to two people familiar with its financials, as advertiser-friendly moves enticed some big brands to spend more. But while YouTube accounted for about 6% of Google’s overall sales last year, it didn’t contribute to earnings. After paying for content, and the equipment to deliver speedy videos, YouTube’s bottom line is “roughly break-even,” according to a person with knowledge of the figure. By comparison, Facebook Inc. generated more than $12bn in revenue, and nearly $3bn in profit, from its 1.3 billion users last year. Google would like people to turn to YouTube as though it were TV. To which an analyst retorts that “there’s a lot of junk” and that it needs investment to get TV ad budgets. That’s been tried before, though. Also, just 9% of viewers account for 85% of page views. It’s the “whale” model used by games like Candy Clash – not the “many watching a bit all the time” of TV. The tools I use now are, to the extent possible, based on community values, not corporate ones. I’m not acting on some paranoid fantasies here. I’m emulating, in the tech sphere, some of the principles that have led so many people to adopt “slow food” or vegetarian lifestyles, or to minimize their carbon footprint, or to do business only with socially responsible companies. Nor do I intend to preach. But if I can persuade even a few of you to join me, even in some small ways, I’ll be thrilled. I know and like Dan, though one has to pause a bit: the PC is a Lenovo (made in China, home of a not-at-all oppressive government). He doesn’t specify who made the handset. I fear his quest is quixotic; even Taiwan-owned companies manufacture in China. So is China’s government better or worse than Google, Microsoft or Apple? Q: Messaging outside of email has become huge, as proven by things like WhatsApp, Snapchat and Facebook Messenger. Does Google need a play there to be competitive? A: We think about it at two levels. We build platforms. We don’t expect Google as a first party service to provide all the answers. Part of the reason a platform is successful is because there are very very important things from other companies and other developers on top of the platform. Things like WhatsApp are a great example of success that others have had on Android, which we see as welcome innovation on the platform. It’s great for users, it’s great for our platform and I think it’s a virtuous cycle. In the aggregate, we also care about building great services for people. At that level, we view communications as an important area. But that doesn’t mean the answer is always a vertical service. We do have products like Hangouts which we will invest in and evolve. But we also care about the platform in these areas, how we evolve the platform so we support others to do these innovations as well. It’s a more nuanced answer. It’s a more complicated approach. I think we are comfortable with where we are. Also covers Google+, Android, and China. Doesn’t have a truly interesting insight on any of them; you have to work it out from what isn’t said (he doesn’t emote about Android at Home; won’t talk about how enterprise is going). Of course various blogs have filleted it for comments about Apple, but that’s a snooze too. Towards the end of January, the euro hit a new low against the US dollar. Having lost 11% of its value between July and the end of December last year, the Eurozone currency was down by another 6.8% against the US dollar in January after the new year opened with a series of events that led to increased pressure on the currency. For the large, non-European IT manufacturers, this has been bad news; where components are sourced in US dollars and revenues generated in euros, the devaluation has meant a significant increase in production costs and a strain on margins. Our distributor pricing data shows a 7% rise in the euro cost of components in the few months between July and December last year, despite a small decline in dollar terms. While prices did not go up to the same extent in real life, it is only a question of time before pricing shifts will show in our Channel data. And show, it will. It is clear that IT vendors cannot just simply absorb the recent rise in costs. List prices are already rising for PCs, it seems. That’s going to be a problem. Will smartphones be affected too? The tuning of a CD with the CD Sound Improver is incredibly easy and takes barely a minute. The tungsten carbide blade is automatically set at the right angle during manufacture of the unit. A test CD is included in the delivery package. All following CDs are bevelled under exactly the same conditions. Shavings are removed via the vacuum cleaner link. Shavings! It’s trimming your CD! The core APIs offered by the Android SDK have proven to be very stable. Lollipop is at its core a completely new OS with a new VM philosophy, but when we updated our first device, the app just continued to work. That’s an amazing feat. Whenever the iOS people took a break from laughing at the stack of test devices, they were toiling away updating their app to work with one iOS upgrade after the other. Whatever madness has flown into the Android core APIs, it’s there to stay. That can be seen as the reverse side of the coin. Hanging indents are not rendered correctly? Yep, since 2011 — it’s a feature by now. Want to handle a text larger than a few 1000 characters? Sorry, the guy who wrote the SpannableString Builder class is now enjoying early retirement in Malibu. The Android APIs are stable, but sometimes we’d have wished them to be less stubborn. Via Russell Ivanovic, who cites this as evidence that (in his words) 2015 will be the year of Android. However, this doesn’t show anyone going Android-first; quite the opposite. It’s more that, having wrung the market pretty much dry on iOS and the Mac, they’re now targeting the Android market, which must have a high end who will want to use this. It’ll be interesting to follow up with iA and see how sales/installs/piracy goes on Android and compares to iOS. Bank of England: visualise this. Photo by Michael Sissons on Flickr. A selection of 9 links for you. Yes, you. I’m charlesarthur on Twitter. Observations and links welcome. After securing Acer as its first major OEM deal, Pokki, an alternative Windows application marketplace and Start Button replacement, today secured Lenovo as its newest partner. The deal will see Pokki’s game arcade and Start Menu shipped with Lenovo machines, greatly boosting its marketshare in the PC ecosystem. Superfish might be the most recent, but it wasn’t the first time Lenovo was trying to improve its margins with preloaded software. Lawyers using Ross ask a legal question, and the program sifts through thousands of legal documents, statutes, and cases to provide an answer. Ross’s responses include legal citations, suggest articles for further reading, and even calculate a confidence rating to help lawyers prepare for cases. Because Ross is a cognitive computing platform, it learns from past interactions, meaning that Ross’s responses will grow to be more accurate as lawyers continue to use its system. Via Mark Gould, who says that this sort of thing could automate legal functions… so what happens to those white-collar jobs? Apple’s OS X operating system was the most vulnerable in 2014, according to a new report by the US National Vulnerability Database (NVD). As per the report, OS X leads the list followed by iOS, Linux, Microsoft Windows Server 2008, Windows 7, Windows Server 2012, Windows 8, Windows 8.1, Windows Vista, and Windows RT. It has been noted that 7,038 new vulnerabilities were added last year, which results in 19 new vulnerabilities per day. The report adds that out of the 7,038 vulnerabilities, 80 percent were said to come via third-party applications, 13 percent from operating systems and 4 percent via hardware devices. It is worth mentioning that in 2013 the vulnerability number was low at 4,794. Also, out of the 7,038 vulnerabilities, 68 percent was said to fall under the ‘medium’ severity, 24 percent in ‘high’ and the remaining 8 percent in ‘low’. OK, I get it had the most vulnerabilities. Was it the most exploited, though? • showing something novel or insightful that is relevant to the Bank? • clear and easy to understand? • aesthetically pleasing and original? 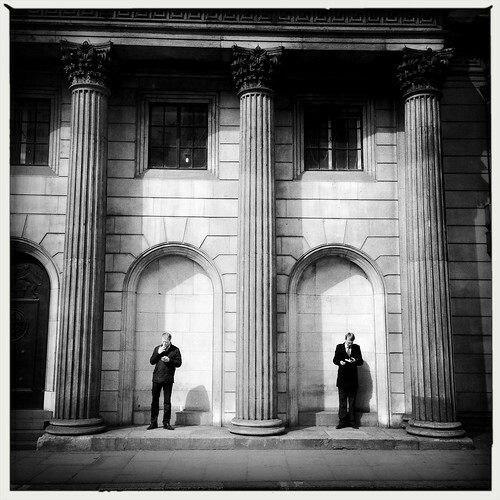 Those entries that make the finalist day on Thursday 4 June will receive a tour of the Bank of England and its archives in the morning, followed by lunch. Judging will take place in the afternoon where finalists will present their entries to an expert panel. The winning entry will then be announced and the winning team will receive the prize of £5000. Refreshments will then be served for the contestants who will have the chance to mingle with the judges and other Bank staff. The prize will be for the entry (and not per person). Perhaps the most worrying of Gemalto’s assertions is that it’s not possible to break connections over 3G or 4G using the methods described in the report. As Gemalto must know, it’s possible to force phones to “fail over” to easily-crackable 2G by jamming 3G and 4G connections. My money’s on GCHQ. Those people are smart. When I receive a GPG encrypted email from a stranger, though, I immediately get the feeling that I don’t want to read it. Sometimes I actually contemplate creating a filter for them so that they bypass my inbox entirely, but for now I sigh, unlock my key, start reading, and – with a faint glimmer of hope – am typically disappointed. I didn’t start out thinking this way. After all, my website even has my GPG key posted under my email address. It’s a feeling that has slowly crept up on me over the past decade, but I didn’t immediately understand where it came from. There’s no obvious unifying theme to the content of these emails, and they’re always written in earnest – not spam, or some form of harassment. … I think of GPG as a glorious experiment that has run its course. The journalists who depend on it struggle with it and often mess up (“I send you the private key to communicate privately, right?”), the activists who use it do so relatively sparingly (“wait, this thing wants my finger print?”), and no other sane person is willing to use it by default. Been available 20 years, yet has only 50,000 “strong” keys and under 4m published in the keypool. I’ve had a lot of PGP keys and forgotten the passwords to them all. One developer who I’ll call “Alex,” because they didn’t want to be identified by their own name, told me about a situation where breasts had gone wrong—and it wasn’t the result of tech limitations. Alex told me that their studio was very concerned with its depiction of breasts. Even so, there were stumbles along the way. “The very first thing I noticed when [the studio was] animating breasts is, I would look at them, and they were just not moving in a way that was even remotely natural,” Alex said. Q: You mention that bitcoin has low volume compared to other payment methods, has this always been the case? Has its volume share changed over time? A: The volume has been dropping since launch, in 2014 it was only used about twice a week, which is vanishingly small compared to other methods of payment we offer. We supported Bitcoin for philosophical reasons, not commercial ones. I believe Bitcoin or some other blockchain-like system will be the basis of the majority of financial transactions in the future, from small remittances to multi-billion dollar corporate acquisitions. I think transaction costs should follow Moore’s law, and I don’t think we’re going to get there with the centralized gateways that currently account for the overwhelming majority of transactions. I also personally hold Bitcoin, I’m an advisor to Stellar.org, and my friends make fun of me for bringing up Bitcoin and the blockchain in unrelated conversations. 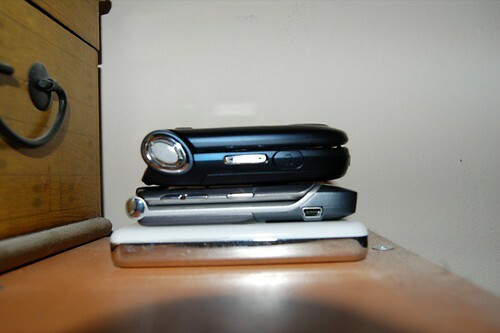 Samsung phone, Motorola RAZR, 3G 15GB iPod compared for thickness. Photo by Jemaleddin Cole on Flickr. A selection of 8 links for you. Does not contain acrylamide. I’m charlesarthur on Twitter. Observations and links welcome. Creative Labs is, in many ways, driving HTC’s transformation since most of the software experiences powering the new products, including the Re camera, come from [lab chief Drew] Bamford’s teams. Part of his mandate is to meet with other teams in the company and steadily shift the way they think about how they operate. The bet is that it can make some of these features work not just on HTC’s devices, but other Android smartphones and Apple’s iPhone and iPad, which are powered by the iOS operating system software. The first such app is Zoe, which started out as a simple feature on HTC’s phones. In October, it launched on the Google Play store and made available to all Android users for free. Zoe will be released on Apple’s App Store this quarter, with the ultimate hope that the social component and cross-platform accessibility will earn it a following akin to Snapchat, the photo instant messaging service that’s wildly popular with today’s teens. Bamford’s work on the Zoe app led to the formal creation of Creative Labs. Trouble is, that’s small money. HTC needs to catch a boom – in wearables, or cameras, or the internet of things – and really ride it. …Our source gave us one other interesting tidbit about the Galaxy S6: Stocks of the curved S6 appear to be constrained by supply due to manufacturing issues caused by the curved display. This isn’t unusual when it comes to the first commercial outing for a new technology—but in this case it’s awkward because Samsung’s marketing push will focus almost entirely on the curved version. 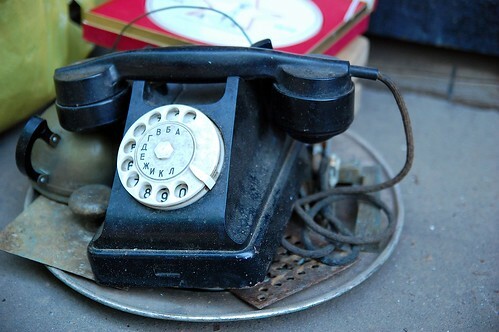 If the trend continues at the current pace, and there’s little reason to believe it won’t, the majority of US households could be without a landline phone as early as this year. And a few years from now, landline phones will likely have become an endangered species, much like the VCR and other technological relics. What may buy them some time on the road to total extinction, is the fact that people will continue to use them at work, if only for lack of a better alternative. [Viv co-founder Dag] Kittlaus points out that all of these services are strictly limited. Cheyer elaborates: “Google Now has a huge knowledge graph—you can ask questions like ‘Where was Abraham Lincoln born?’ And it can name the city. You can also say, ‘What is the population?’ of a city and it’ll bring up a chart and answer. But you cannot say, ‘What is the population of the city where Abraham Lincoln was born?’” The system may have the data for both these components, but it has no ability to put them together, either to answer a query or to make a smart suggestion. Like Siri, it can’t do anything that coders haven’t explicitly programmed it to do. Viv breaks through those constraints by generating its own code on the fly, no programmers required. Take a complicated command like “Give me a flight to Dallas with a seat that Shaq could fit in.” Viv will parse the sentence and then it will perform its best trick: automatically generating a quick, efficient program to link third-party sources of information together—say, Kayak, SeatGuru, and the NBA media guide—so it can identify available flights with lots of legroom. And it can do all of this in a fraction of a second. Take an iPhone 6 as thick as the iPhone 4 and imagine how heavy it would be. Apple was deliberate when they pointed out the iPhone 6 was actually lighter than the iPhone 4. They did that because, while thinness is nice and certainly improves the feel of the phone, it’s lightness that matters. Lightness is what improves usability. Weight, or lack of it, is usability. As Ritchie says, this is a key point to always bear in mind. When it comes to self-driving cars, 2020 is gonna be a big year. That’s the deadline Nissan and Mercedes-Benz have given themselves for putting cars with autonomous features on the market, and it’s roughly when we expect so see robo-rides from Audi and maybe even Google on sale. …“It is relatively easy to build and demonstrate a self-driving concept vehicle, but if you want to create an impact in the real world, you have to design and produce a complete system that will be safe, robust and affordable for ordinary customers,” says Erik Coelingh, a technical specialist at Volvo. The cars will be Volvo’s new XC90 SUV, which goes on sale this year and is already “semi-autonomous.” Its auto brake function prevents you from making risky maneuvers that endanger others. It can automatically and safely follow a car in stop-and-go traffic. It can parallel park largely on its own, with the driver only tending to the gas and brake. So one has to ask: will Google (and perhaps Apple) aim to disrupt this emerging element of the car business, or be orderly entrants, or will Google license its map data and computational power? Will it all turn out to be too late? 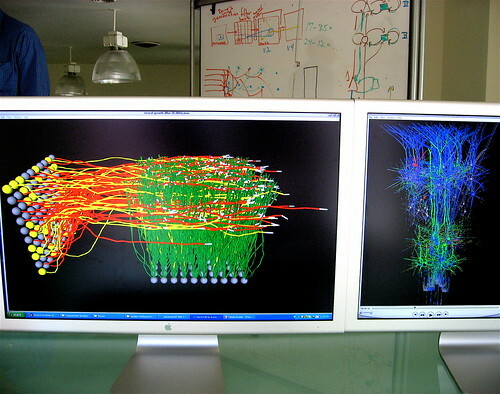 Inception aims to provide a relatively quick, stable and easy way of performing intrusive and non-intrusive memory hacks against live computers using DMA. Inception’s modules work as follows: By presenting a Serial Bus Protocol 2 (SBP-2) unit directory to the victim machine over the IEEE1394 FireWire interface, the victim operating system thinks that a SBP-2 device has connected to the FireWire port. Since SBP-2 devices utilize Direct Memory Access (DMA) for fast, large bulk data transfers (e.g., FireWire hard drives and digital camcorders), the victim lowers its shields and enables DMA for the device. The tool now has full read/write access to the lower 4GB of RAM on the victim. In effect, the machine will trust anything as a valid password. Effective against pretty much any OS, including every version of Windows and Linux, except – remarkably – the most recent version of Mac OSX. And even then, only if you encrypt your hard drive. But if this is a worry, you’re probably not on the internet at all. Probably a neural network, but you might need one to look at it to be sure. Photo by jurvetson on Flickr. A selection of 8 links for you. Slippery when wet. I’m charlesarthur on Twitter. Observations and links welcome. A learning device implies that it will not only pick up on what you usually do, but it will also: 1) allow you to change, and 2) absorb those changes. My Nest learned quite well, but then stopped learning. It remembered but it didn’t look for variations or adapt. It was the equivalent of a printed textbook: Facts, correct or not, become law if written in there and thus will be taught that way until the school chooses a different textbook. When I turned the dial to increase the heat to 66 degrees, rather than responding by making the house warmer, or by informing me that it is now working toward this, it read, “in 1 hour and 20 minutes 66 degrees until 10:00PM.” The next day the house temperature plummeted to a punishing 50 degrees (I realize I may be spoiled) for no reason I was privy to. Here, by the way, is another usability heuristic not heeded: visibility of system status. Try as I might, it won’t listen. So I pull on another sweater (a la Jimmy Carter) and mittens and a hat. Indoors. In my home. I am serious. And I wait until my thermostat decides that I am worthy of radiant warmth. Before [the researchers] won over the world, however, the world came back to them. That same year, a different type of computer chip, the graphics processing unit, became more powerful, and Hinton’s students found it to be perfect for the punishing demands of deep learning. Neural nets got 30 times faster overnight. Google and Facebook began to pile up hoards of data about their users, and it became easier to run programs across a huge web of computers. One of Hinton’s students interned at Google and imported Hinton’s speech recognition into its system. It was an instant success, outperforming voice-recognition algorithms that had been tweaked for decades. Google began moving all its Android phones over to Hinton’s software. It was a stunning result. These neural nets were little different from what existed in the 1980s. This was simple supervised learning. It didn’t even require Hinton’s 2006 breakthrough. It just turned out that no other algorithm scaled up like these nets. “Retrospectively, it was a just a question of the amount of data and the amount of computations,” Hinton says. The purchase of Softcard (if not the abandonment of its staff) had been expected, but the preinstallation on Android phones is a smart deal. Commenters [the researchers at Skidmore College] identified as male were more likely to post negative comments than were those they identified as female; they were also much less likely to post comments acknowledging that gender bias exists. With the world counting down to April 2015 for Apple Watch launch, attention turns to the best apps that will make or break this landmark device. I think the launch will actually be in March, with shipping – as Tim Cook said – in April. (The delay lets Apple take preorders, evaluate demand, and, ah, also helps those camera-magnet queues.) I wrote about what developers aim to do with apps on Apple Watch for The Guardian. Two or three times a day in almost 60 cities across America, thousands of police officers line up for roll call at the beginning of their shifts. They’re handed a marked-up map of their beat and told: Between calls, go to the little red boxes, each about half the size of a city block. The department’s crime analysts didn’t make these maps. They’re produced by PredPol, a “predictive policing” software program that shovels historical crime data through a proprietary algorithm and spits out the 10 to 20 spots most likely to see crime over the next shift. If patrol officers spend only 5% to 15% of their shift in those boxes, PredPol says, they’ll stop more crime than they would using their own knowledge. With ad revenues levelling off and expenses skyrocketing (G&A has quadrupled in 5 years), Google is headed for a financial meltdown, and when it happens, the company will need to shave $2bn a year off its $16bn/yr in R&D and G&A costs, which means, if we count the fully burdened cost of a Google employee at $200K per year, it needs to shave 10,000 jobs. Google has $100bn in the bank, so the situation is hardly dire, but Wall St. likes to see expenses cut by some other method than hauling money out of the bank. They like to see a sound Income Statement, and very soon, Google’s Income Statement will be anything but sound. On a percent-of-income basis, Google outspends Apple on R&D six-to-one. Where is that money going? Driverless cars, Google Glass, body odour patents. Stuff that doesn’t have a chance in hell of generating revenue any time soon. On the one hand, Google is to be credited with thinking long-term, something American companies don’t tend to do very well, but on the other hand, Google needs to execute well on the revenue side. Right now, most of its revenue is tied to search ads, which are receding in relevance. It competes, in the cloud space, with Amazon (which no one should have to do). Will that save the company? No. It would have, already, if it were going to. This is hard to argue against, though Google could just ignore Wall St and report lower profits. “With consumers in mature markets upgrading their smartphones every 18 to 20 months the inevitable question is what happens to the old device?” said Meike Escherich, principal research analyst at Gartner. “While only 7% of smartphones end up in official recycling programs, 64% get a second lease of life with 23% being handed down to other users and 41% being traded in or sold privately. With nearly two-thirds of replaced smartphones being reused, continued demand for high-end used devices will increasingly impact primary-unit sales, and motivate phone providers to look into the secondhand market. In North America and Western Europe, the market for refurbished phones is forecast to be worth around $3bn in 2015 and growing to $5bn in 2017. Many users are attracted to used high-end devices that they would not have been able to purchase at the original selling price. Next question is whether there’s any difference between platforms over hand-me-downs, and life cycle length. Pretty sure they’re not rewriting that week’s New Yorker. 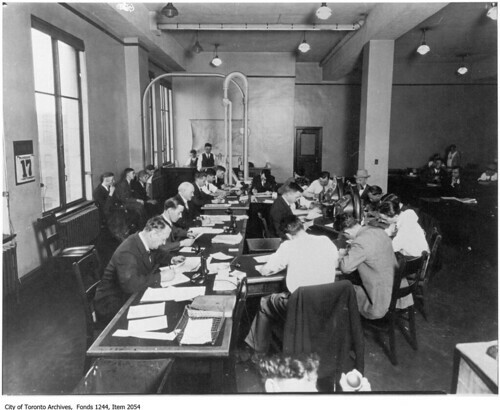 The Toronto Star newsroom in December 1930. Photo by Toronto History on Flickr. Ian Parker’s magnificent profile of Jony Ive (and to a lesser extent Apple) in the New Yorker has received lots of attention – mainly from journalists at a multitude of news outlets who each spent a jolly hour or so filleting it for 23 Things You Maybe Didn’t Know But Might Be Persuaded To Read Because They’re In The Form Of A List Rather Than A 17,000-Word Article. What’s been largely overlooked is the sheer amount of work done by Parker in putting this together. Clearly, Apple’s PR people played an important part: they set up at least three interviews with Ive (some time in late July/early August; the day after the iPhone release; some time later when they go to see the new campus being built). There’s also an interview with Tim Cook, whose time isn’t exactly limitless. That’s 11 people beside Ive and Cook, and that’s only inside Apple. In all, that’s 23 24 people with whom he had longer or shorter interviews. And there’s also a hell of a lot of reading and information mixed in there – worn very lightly (such as the point about how much profit Apple makes during a 25-second pause, or how quickly phones were coming off Chinese assembly lines as Tim Cook announced them). Deciding what parts of 23 24 interviews to use (once you’ve transcribed them, of course) and what to throw away, plus what part of the observations around them to use (Jony Ive’s manner), and then simply writing it and getting it straight, and through fact-checking, subbing, and editing, is a huge task. At that length, it’s a short novella. Parker’s reward? I’m sure that a ton of people have read the article and learnt from it. Lots of people have done rapid rewrites of salient bits of it, but the only piece of journalism has been Parker’s, in the first place. Sure, Apple gave him access, and lots flowed from that. And the access that Parker managed to get to other people? Clearly, he was helped by the name of the New Yorker (and quite possibly some nudging from Apple to people like Powell Jobs and Bob Mansfield). But the contrast between Parker’s in-depth cover-the-bases profile, and the many pieces that get thrown off every day on news outlets, where the writer doesn’t bother to get an opposing, or a neutral, or indeed any outside view about a piece of information – bugs me often. When I worked at New Scientist, it was an ironclad rule (and I think, reading it, still is) that in any news piece you were writing, you had to get an outside opinion about whatever marvel had been unveiled, whether it was the birth of the universe or the discovery of a new species of beetle under a log in the Amazon. As a writer, this put one to the test, and the stress was only magnified at a daily paper when one had to be able to find people willing to do similar things to tight deadlines. Yes, I know, web deadlines, bla bla bla. I cleave to the view that if someone else has already written the story, your job as a journalist/writer is to move the story on – do something more, get a new perspective, find out something new, unearth the fact nobody else has brought to light. This applies even more when everyone’s rushing to put something, dear god anything, online so Google News will anoint it as this minute’s top story. If you move the story on, then you become the one they look to. Quality will tell because monkeys (well, software) will eventually eat those jobs doing rewrite anyway. Look, a company that automatically writes sports and finance stories just sold for $80m. It’s coming for your listicles next. Parker, obviously, demonstrates that quality becomes a virtuous circle. Do it well, and you get better access. But you have to do it well in the first place. Currently unfashionable inside Lenovo “consumer laptops”. Photo by sinosplice on Flickr. A selection of 8 links for you. Makes a lovely salad when added to salad. I’m charlesarthur on Twitter. Observations and links welcome. Lenovo might have made one of the biggest mistakes in its history. By pre-installing software called ‘Superfish ’ to get ads on screens it’s peeved the entire privacy community, which has been aghast this morning on Twitter. There are serious security concerns about Lenovo’s move too as attackers could take Superfish and use it to ensnare some unwitting web users. Here’s what you need to know about Superfish and what you can do to stop it chucking irksome ads on your browser and leaving you open to hackers. This is probably the most comprehensive piece on the problems around this, though Lenovo suggests it has only installed it since September 2014. On Thursday night it issued instructions on how to remove it. And here’s a site you can use to check whether it’s affecting you. Read on for more of the implications. Now, we are able to detect and decrypt TLS/SSL protected traffic in our Web-content filtering component. We are using our own generated certificates that are added into the Root Certificate store in Windows and also into major browsers. This feature will protect you against viruses coming through HTTPs traffic as well as adding compatibility for SPDY+HTTPS/ HTTP 2.0 traffic. You can tune/disable this feature in the settings section. That “https scanning” is exactly the thing that people are worried about with the Lenovo-installed Superfish. The reason why it’s used is because a lot of malware uses https: to connect to command-and-control servers. Superfish used it because connections to Google are https: and it wanted to insert its own adverts into the Google results stream. I extracted the certificate from the SuperFish adware and cracked the password (“komodia”) that encrypted it. I discuss how down below. The consequence is that I can intercept the encrypted communications of SuperFish’s victims (people with Lenovo laptops) while hanging out near them at a cafe wifi hotspot. Note: this is probably trafficking in illegal access devices under the proposed revisions to the CFAA, so get it now before they change the law. I used simple reversing to find the certificate. As reported by others, program is packed and self-encrypted (like typical adware/malware). The proper way to reverse engineer this is to run the software in a debugger (or IDApro), setting break point right after it decrypts itself. The goal is to set the right break point before it actually infects your machine – reversers have been known to infect themselves this way. This is one of the concerning things about Lenovo’s actions: vulnerabilities like this. Lenovo is working quickly to wipe all traces of an app it had pre-installed on some consumer laptops, responding to security researchers’ warnings that the app could give attackers a way to steal people’s encrypted Web data or online passwords. In an interview Thursday, Lenovo’s chief technology officer, Peter Hortensius, acknowledged that “we didn’t do enough” due diligence before installing Superfish, but that the company doesn’t believe laptop owners were harmed by the app. He said the company realized it needs to do more to respond to consumers’ concerns. Lenovo, the world’s biggest seller of PCs, is working to write software that will delete any data from the Superfish software off laptops on which it had been installed. Hortensius also said the company should have done more due diligence on the security of the Superfish shopping-search app, which was installed from September to December on Lenovo consumer laptops. Choice quote from Hortensius: “we agree that this was not something that we want to have on the system”. So how did it get there? Only one lyrics site saw an increase in visibility from Google’s search results, that is azlyrics.com with a 24% lift. We saw at the end of December 2013, Rap Genius was penalized for link schemes but then saw themselves back in the search results ten days later. Maybe that manual action had Google’s engineers take a deeper look at the lyrics niche. One thing, you’d probably see a deeper impact on these lyrics sites in 2015. Google in late December 2014 began showing full lyrics in the search results, which can directly impact the traffic and visibility of these lyrics sites in the Google search results. These seem really good ideas. And there are more; the article isn’t so much about what happens, but how Costolo functions. at the biggest fashion houses in Europe, there is a general disdain for the connected future that the tech world fetishizes. “We don’t like [e-commerce]. I don’t care,” Miuccia Prada said in 2013. “We think that, for luxury, it’s not right. Personally, I’m not interested.” As Bloomberg details, this is the case for many luxury brands. Some fashion OGs, like Valentino, don’t even use computers. Anna Wintour famously carries a flip phone. “The problem with technology is it’s a bit cold. It’s a bit sharp,” said Carine Roitfeld, CR Fashion Book EIC and former French Vogue chief. This aversion actually makes perfect sense. 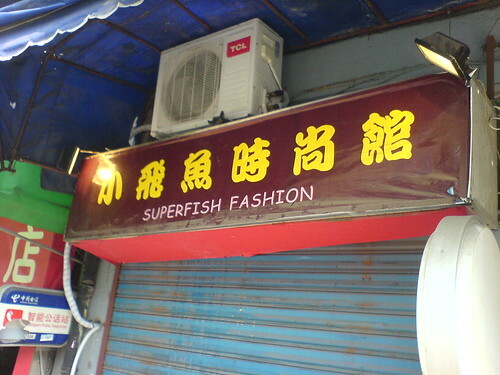 Fashion is, by its very nature, exclusive. It’s about creating an identity, a brand, that is so cool that people will spend thousands and thousands of dollars to acquire a tiny piece of it. If you make that identity widely available, you risk diluting it. This delicate balance is something that the oldest fashion stalwarts have spent a hundred or more years perfecting. Terrific piece which neatly illustrates (with examples) the gulf between tech and fashion: quite a lot of it is in the language that attaches to things. according to many connoisseurs, critics and fakers don’t give the painter enough credit. There are indeed complexities to Pollock’s drip art that show it to be the genuine article. And now there’s a computer program helping to make a science out of the deciphering. The software uses “computational methods to characterize the low-level numerical differences between original Pollock drip paintings and drip paintings done by others attempting to mimic this signature style,” says Inderscience Publishers. You give it a scan of the possible Pollock, and the program goes to work extracting 4024 numerical image descriptors that the human eye would have trouble deciphering as accurately. I guess we have to add “art authenticator” to the list of white-collar jobs that computers will wipe out in time. Image recognition reckons this could be a cardigan. 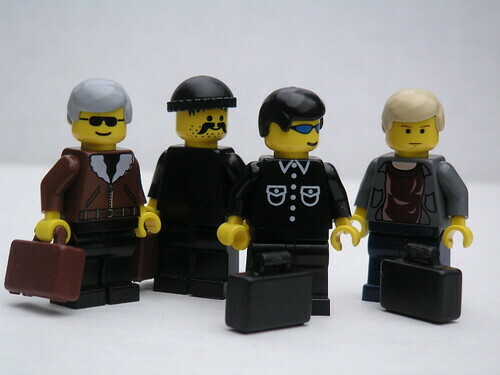 Photo by jdlasica on Flickr. A selection of 8 links for you. Spread liberally. I’m charlesarthur on Twitter. Observations and links welcome. Smart – and also clever: I bet it will be difficult to export the “learning”. Already has some big-name customers. Machine learning is going to be a boom area in a couple of years – and this will help. YouTube, with moves such as those Digiday covered today, is actually making it tougher for content creators to monetize on YouTube in the way they see fit. Videos on YouTube generate tiny amounts of money per view for content creators, and one of the ways they’ve overcome this challenge is through sponsorships. That’ll now be banned under YouTube’s new terms of service regarding advertising. At the same time, Vessel, AOL and others are targeting YouTube content creators with an emphasis on better monetization of their viewership. I’ve been skeptical of these efforts, but YouTube is playing right into their hands with some of these moves, which makes me more open to the idea that it might actually start to suffer as a result of competitive inroads from Facebook but also these smaller platforms. Stripped of all of the legal complexity and jargon, the way that Apple operates outside the US is this: the main company is an Irish subsidiary of Apple. This buys all of the parts for all iKit, makes the contracts with the factories that assembles it, ships it all on (there’s all sorts of fun stages in Singapore and so on but they’re irrelevant for our purposes) and then sells it to the various Apple country operating companies. To Apple UK, Apple AG, Apple Oz and so on. …In practice, Apple tends to sell from Apple.ie into the other national subsidiaries at a price where those national companies just about scrape a profit but not very much. They can cover their retail and wholesale, their marketing costs, wages and so on, but leave only a lean slice of extra cash that gets taxed. Almost all of the profits end up in Ireland. This isn’t, however cute we might think it is, illegal nor even naughty in a tax sense. This is remarkably (and valuably) clear explanation of what transfer pricing is all about. Recommended, even (especially?) if you hate what Apple and others do with their profits. Sony is still an innovative company. However, it may be their future is in empowering others to commercialize their innovations rather than their own product brands. All of this makes me wonder if Sony’s struggles foreshadow a fate for Samsung. Many of the same fundamental issues surrounding Sony also surround Samsung. Their branded products are facing rapid commoditization. Samsung has been able to fend off issues that hit Sony thanks to a massive marketing budget. They are mostly out of selling PCs for similar reasons as Sony. Their mobile unit continues to see steep declines as competing with smartphones with similar specs and lower prices becomes extremely difficult. Their TV business remains a top seller but you have to wonder how long that can last, particularly if the Chinese enter the US market with good quality 4k and then 8k, and then 4k and 8k OLED TVs at extremely low cost. The emptiness at the heart of both Samsung and Sony – both control their hardware design language, but not the software that runs it – is surprisingly similar. WSJ: What is the second round of questions about in the Google case? Why would you need more information? Margrethe Vestager: When you discuss commitments for a time then the case information gets outdated. And therefore I found that for me to take the case forward, I needed an updated file. And what we see is that we sent out requests for information just before Christmas with a deadline at the end of January. And people have been very forthcoming in the information that we get. But that of course sometimes raises new questions, and therefore we just had a second round in order to get the full picture… I would like to take some of the mystery out of meeting complainants. Because they do not come here with flying [flags], they come here very calmly, stating their case, trying to underpin it with the facts of the world as they see it. So even though there is a lot going on about the case as such, when we do the casework here, it is very much boiled down to the facts that can support your views, how things are being seen. I think that is very important. Talking about speed, the stronger a case you have, the less risk it will end up in endless court proceedings. And that in any case time is an issue. Any business involved in an antitrust investigation would like us to be as fast as possible. WSJ: Any sense how long it will take to come to a decision on Google? MV: It’s too early to say. Here’s a putative timetable: statement of objections by summer, some sort of settlement in autumn. Might get more complicated if Android gets rolled in; Vestager’s team is also investigating whether Google’s conditions there are anticompetitive, and has demanded a lot of information from Android phone OEMs, slightly to their discomfort. Within the past half-decade, AI research and development has been supercharged, thanks partly to academics at Stanford University, New York University, and the University of Toronto, and researchers at Google, IBM, and various startups. They’ve accomplished things in computer vision that were unimaginable years ago, but the results of our computer eye exam show that, although machines are getting very good at some things, they still come up with strange or nonsensical answers every now and again. Where these systems fail tells us a lot about why computers won’t be replacing us for general image recognition tasks anytime soon. 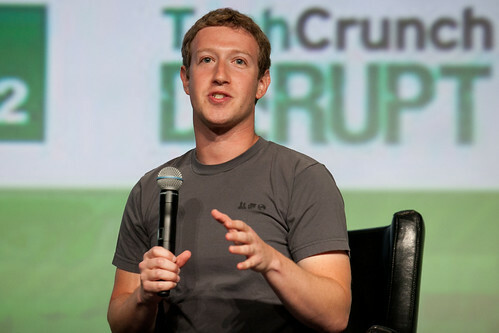 Identifying Mark Zuckerberg as “cardigan” does seem obtuse. The design of Bitcoin and the blockchain, its public transaction ledger, make it challenging to distinguish specific types of transactions. Nonetheless, researchers from the U.S. Federal Reserve determined in a recent analysis that the currency is “still barely used for payments for goods and services.” Last week, nearly 200,000 bitcoins changed hands each day, on average. But fewer than 5,000 bitcoins per day (worth roughly $1.2m) are being used for retail transactions, according to estimates by Tim Swanson, head of business development at Melotic, a Hong Kong-based cryptocurrency technology company. After some growth in 2013, retail volume in 2014 was mostly flat, says Swanson. If only 2.5% of activity is in retail (or at least, legal retail) that’s still not a currency – it’s a speculative item. The blockchain still seems like the innovation with the most promise, not bitcoin itself. Fortunately, there is an easy solution. The most obvious is to log into the web version of your email and delete the offending email there. Your Android mail app will no longer attempt to download the email (because it has been zapped) and so won’t see any offending email headers that might cause it to trip over itself. Of course, that’s quite a nuisance if someone keeps emailing you malicious emails designed to crash your mail app. But the permanent solution should be even simpler. If you can, update your email app to version 4.2.2.0400 or higher. Unfortunately, as Marco explains, that may not be possible for everybody because of the hairy nature of software updates on the Android platform. OK, not all mobile phones in Russia are smartphones. Photo by thejamo on Flickr. A selection of 8 links for you. Do not use as sunscreen. I’m charlesarthur on Twitter. Observations and links welcome. A few weeks ago, Snapchat updated its app. The new version had a little purple dot in the upper-right corner of the app’s Stories screen. If you’re a normal, casual Snapchat user who uses the app to send goofy selfies to your friends, you might not have noticed the dot at all. Or you might have tapped it, seen an unfamiliar menu with a panoply of weird logos on it, and gone back to your selfie-taking. But if you’re a media executive, that little purple dot — the gateway to Snapchat’s new Discover platform — might represent a big shift in your thinking. There’s a ton of chatter in the media world about Snapchat’s foray into news. And the media is right to gossip: Snapchat Discover is huge. I’m not privy to Fusion’s Snapchat metrics (and even if I were, they wouldn’t be representative of the platform as a whole, since we’re only on the non-US, non-UK versions of Discover) and Snapchat isn’t giving out any specifics. But from speaking to people at several other news organizations, I can tell you secondhand that the numbers, at least for the initial launch period, were enormous. We’re talking millions of views per day, per publisher. Social starts to make an impact on mobile. Recent data from The China Internet Network Information Center, the number of Internet users grew 5% in 2014 to about 649m. That means nearly half of China’s population (47.9%) is now firmly on the grid. Well, it means that most people who are online have both PC and mobile access, but some don’t. …What if the politicians get wind of another form of cyberbullying, namely “doxing” – the publishing online of someone’s personal information (and specifically their address) in order to harass and annoy? Any attempt to legislate against that would run into a certain large internet company through whose website such information is inevitably found. Interesting times ahead, that is certain. Bolten points out that the report never examines how Google actually goes about delisting, even though it was recommended to by people on and off the council. Something feels odd about this report. But that final situation might be the collision point for Google and governments. Each table serves a single product, or product part, or product concept; some of these objects are scheduled for manufacture; others might come to market in three or five years, or never. “A table can get crowded with a lot of different ideas, maybe problem-solving for one particular feature,” Hönig, the former Lamborghini designer, later told me. Then, one day, all the clutter is gone. He laughed: “It’s just the winner, basically. What we collectively decided is the best.” The designers spend much of their time handling models and materials, sometimes alongside visiting Apple engineers. Jobs used to come by almost every day. Had I somehow intruded an hour earlier, I would have seen an exhibition of the likely future. Now all but a few tables were covered in sheets of gray silk, and I knew only that that future would be no taller than an electric kettle. By my analysis of the piece Parker had four fairly short meetings with Ive, and one with Tim Cook. What’s not obvious (but I can see, with my journalist’s hat on) is that he must have done dozens of other interviews, of unknown length, with other people inside and outside Apple, some of which result in just a single throwaway line in the piece. That’s thoroughness. He also has a deliciously ironic touch – see his comment about how Tim Cook is alerted to the progress of a meeting. Apple doubled iPhone shipments to Russia to 3.25m last year, garnering $2.14bn in sales, according to the researcher’s Worldwide Mobile Phone Tracker. While Samsung Electronics Co. remained the market leader, shipping more than 6m smartphones last year, its revenue share was overtaken by Cupertino, California-based Apple. In the fourth quarter, when Russians rushed to spend their tumbling rubles on big-ticket items including premium handsets, iPhone sales reached $827m, or a record 46% share in the Russian smartphone market, versus Samsung’s 18% slice, according to IDC. Although Sony Mobile Communications, LG Electronics, Motorola Mobility and Asustek Computer have launched Android Wear-based smartwatches, Samsung Electronics, HTC and some China-based makers are likely to release comparable models running on their own platforms initially, according to industry sources. A lack of efficient ecosystem and supporting environment for Chinese such as a Chinese-language interface, are the main reasons HTC and China’s handset makers are developing wearable devices based on in-house platforms, said the sources. Surprising omission if Android Wear doesn’t have Chinese character support. I tapped “Living Room.” The icon—not the lights—went from dark to bright. I tapped “Living Room,” and the icon went from bright to dark. The lights seemed brighter than ever. This is where voice control (Siri, Google, Cortana) would be ideal. Always assuming it dims the lights in the correct room. This experience also points to why “smart control” isn’t necessarily what you want; smart feedback (what lights etc are on) could be more useful. Still requires installing stuff, though.